Anna Jensen is the new guest researcher of Fluid System Dynamics (FSD)-Team in TU Berlin for three months. 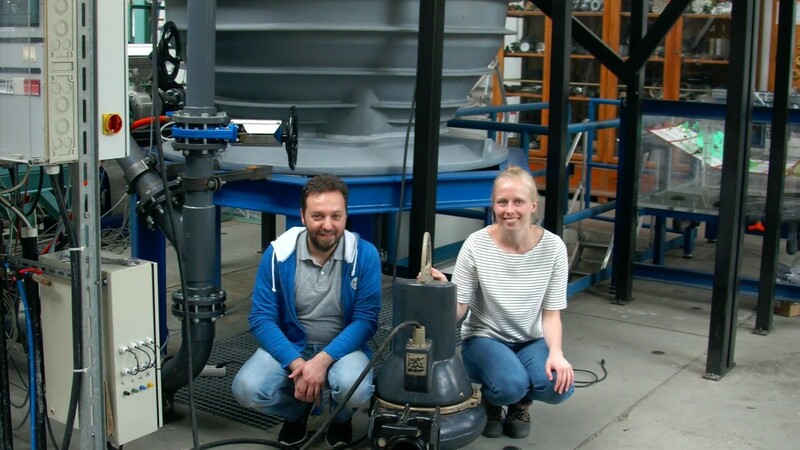 She graduated from Aalborg University and has been working on simulation of clogging effects which occurs when flexible materials get stuck in pumps. She is writing her PhD in Aalborg University and is the first doctoral candidate who came to TU Berlin from Aalborg University by the Nordic Water Network. This is not her first exchange; she was in Istanbul Technical University through the Erasmus Program. In Berlin she has also a good experience. “TU Berlin has very good test facilities, which I have been allowed to use and this can really help me progressing in my PhD work. My colleagues are really good. They are welcoming me. I feel like I am a part of the group. I have also enjoyed the experience in Berlin as a tourist.” Anna states. At TU Berlin she is analyzing the shape and motion of textile or flexible material near pump inlets. Anna hopes that Aalborg University will keep on being involved with the Nordic Water Network. She is grateful for the scholarship of the network for her accommodation in Berlin. Anna wants to finish her PhD when she returns to Aalborg University. Then she has to decide whether to stay in academic research, or go to the industry in Denmark or abroad.